The BBC has announced that its iPlayer video service will soon be available via the Nintendo Wii. 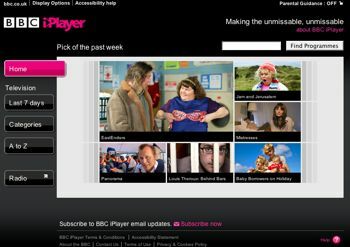 iPlayer is a video download and streaming service that lets people catch up with BBC programming. An early version of the service should be available starting today but more polished software will be released as the service is developed. If you’ve had a chance to give this a try, let us know in the comments. That is excellent news. Great series like Torchwood and Dr Who should be available without using my pc. Seeing these programs on a tv is better than a laptop screen. Also about time that Wii is going to do some media stuff, because it should not be that difficult to have RSS technology on the console, which could be the next thing they could focus on. It could become interesting if the Wii will target the Apple TV area.